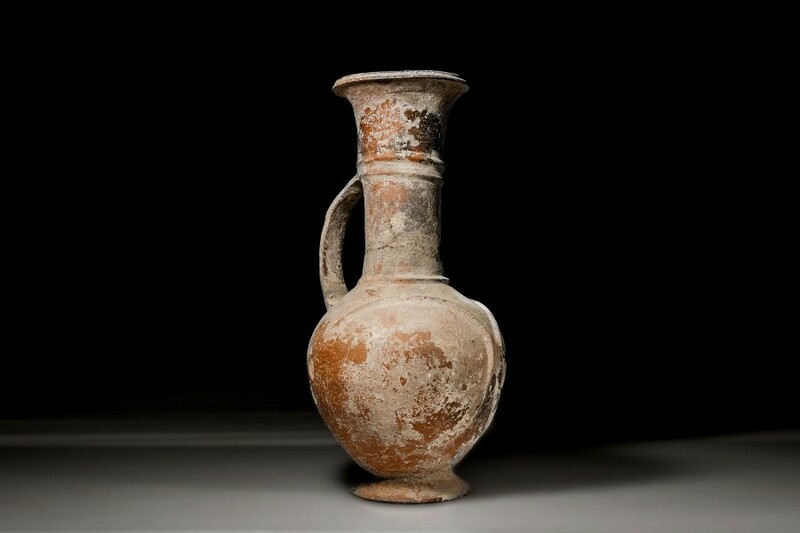 CivilizationLate Bronze Age I, 1500 B.C.E. - 1400 B.C.E. 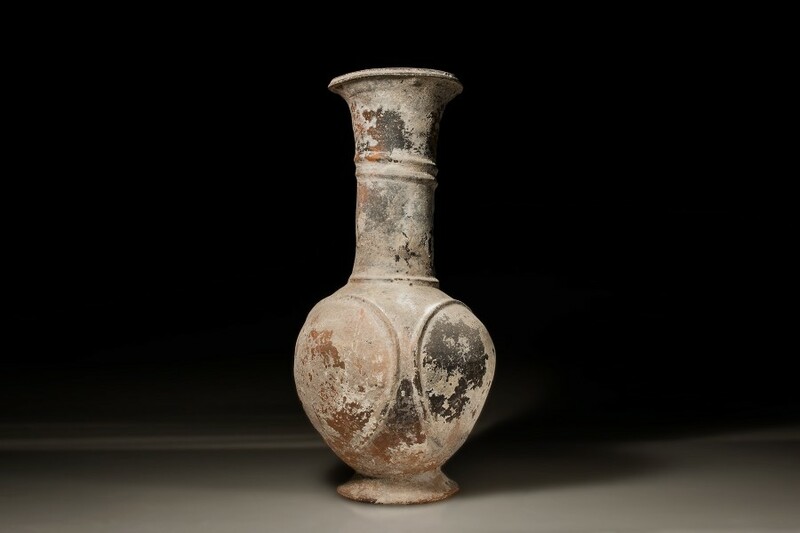 Base Ring ware was one of the dominant types of pottery during the Late Bronze Age. The name applies to the ring-shaped bases found on nearly all pieces from this era. 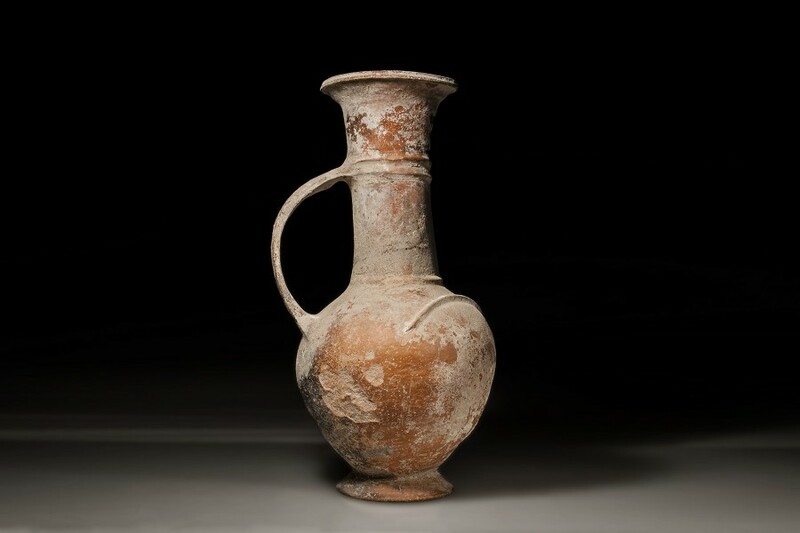 The large base of this Cypriot Base Ring jug is no different, although the raised lines that decorate its body and neck make for a unique decoration on this handsome piece. The walls of Base Ring ware are quite thin, so it is remarkable to find a piece this old in such remarkable condition.